Package it up as party favors at a brunch, bridal shower or baby shower. 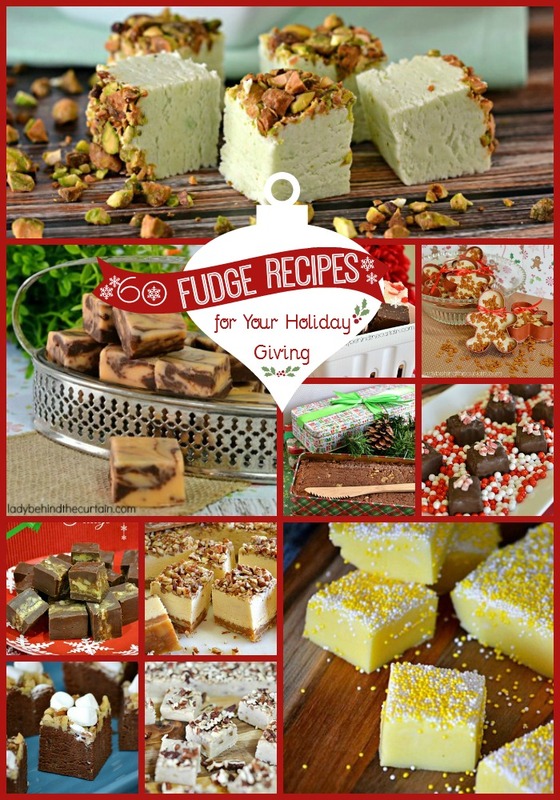 Make it a combo party favor with Pistachio Fudge and Sixlets Funfetti Cake Batter Fudge. TIP: To get this beautiful yellow color I added a small amount of yellow gel food coloring. Line an 8x8-inch baking dish with foil (make sure the foil hangs over the edges so serve as handles). In a 4-cup microwave measuring cup, mix chocolate chips, milk and butter. Microwave uncovered on high 1 to 2 minutes, stirring every 30 seconds, until chips are almost melted. Stir in lemon extract and if you choose to a small amount of yellow gel food coloring. Place in refrigerator for 2 hours or overnight before cutting. 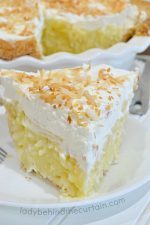 Oh my goodness, Sheryl, this looks fabulous!! My lemon radar is pinging off the charts! 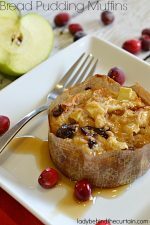 🙂 Seriously, I have to try this and thanks so much for sharing your recipe. Pinning and sharing! How fun is this! 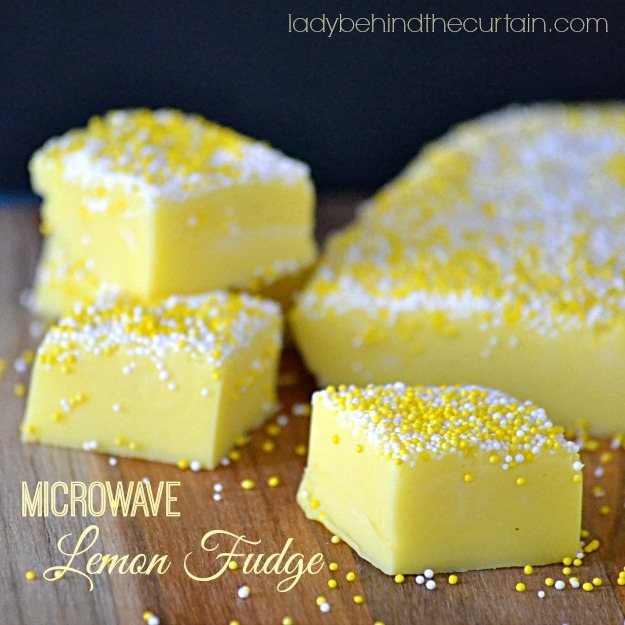 My kids love lemon and love trying new fudge. This is a definite in our house soon! That fudge looks like so much fun, and the color is amazing!! This sounds awesome, Sheryl! Did you use food coloring to get it that great color?? Can’t wait to try this! I learned how to make chocolate fudge in a very similar way to this recipe. I love that you created a new twist that seems so fit for summer! I can’t wait to try this. Thanks for sharing! 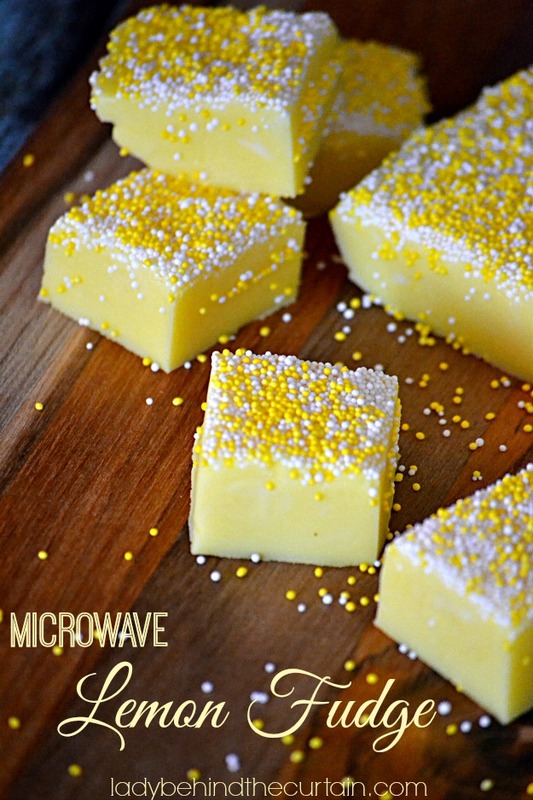 You always make everything look fabulous, and I can’t wait to taste this awesome Lemon Fudge! Thanks so much for sharing with Full Plate Thursday and have a great weekend! This sounds simply amazing. 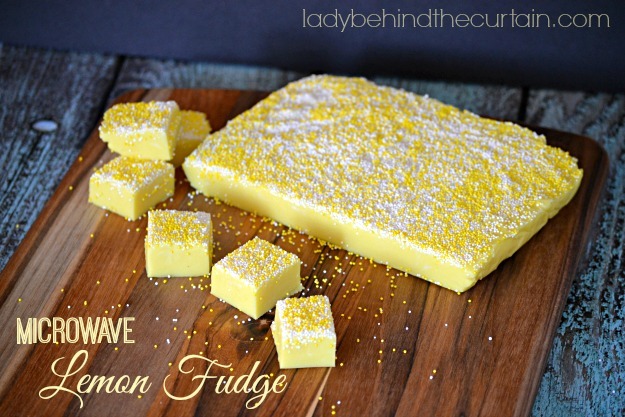 I adore lemon, and fudge. And I love microwave science. Magical, all of it! I never saw my momma make fudge that didn’t come out of the microwave. She would start with a basic powdered sugar, butter, cocoa powder (don’t mix before microwaving) and then add in the goodies after nuking it. 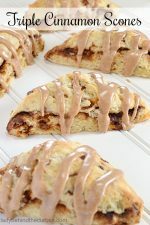 From this simple start she would add one or two more things to a batch to make several different kinds. She made rocky road, orange (adding orange extract), marachino cherry, walnut… i think anything she could get her hands on. Your lemon fudge brings back some sweet memories, thank you!! Awww….you’re welcome Julia. I love hearing family stories. I made this tonite.it is very good but how did you get yours so yellow?i want to make it again soon.thank you. Hi Mary, I added a small amount of yellow gel food coloring. I made this and gave some for gifts and my husband took some to work.everyone loved it. If I can’t find lemon extract, could I substitute lemon juice? If so, how much? Hi Janet. You can but it won’t give you as much flavor as the extract. Maybe if you also add some lemon zest that might pump up the flavor. Did you check Walmart? They have a great assortment of extract flavors. Hi Shelly, You will need a total of 2 1/2 cups of chopped white chocolate. 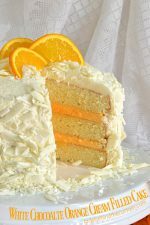 Can I do the same thing to make orange with orange flavoring and orange gel food coloring? Can I add a little lemon zest to boost the flavor? I added 1 & 1/2 tsp lemon zest and wow was it favorable without being sour my brother loved it. Got the fudge in the fridge now!! Mixed it in a bowl instead of the 4 C measuring cup as I needed more room. Didn’t add food coloring or sprinkles but topped it with freshly grated lemon zest. I prefer it a bit more tart. Still pretty in the pan!! Oh Wow!! I have been making fudge for a LONG time, and usually making about 50 lbs per season, (I used to manage a satellite Blood Bank) and give it to everyone that stopped by! I was kind of dreading this year, since I broke both of my elbows this summer, and was afraid that I would not be able to do the heaving stirring that is usually required. 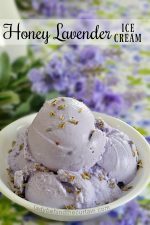 My Great-grandson and I just made this recipe, and LOVE it! 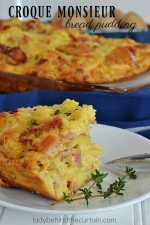 I think that I will be able to carry on the tradition, with this recipe!! Thank you! WooHoo Lori! What a wonderful gift! I hope you’re feeling fine soon!